Contact me if you want to discuss speaking engagements, consultation, or collaboration by filling out the quick form below. I’ll get back to you as soon as I’m available. 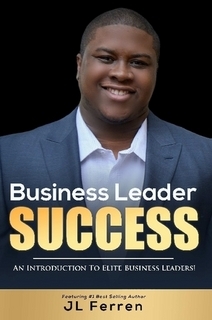 JL Ferren is the CEO of Net Impact Marketing, LLC and a Direct Response Marketing Consultant for small businesses. His primary area of focus is Northern Virginia where he helps small businesses set up digital marketing systems to help them get more customers online. His main goal is to work diligently with small business owners to develop a strong online presence, increase their website performance, and focus on building a bridge from where they are now to where they want to be in the future. Get a sneak peek of Chapter One! Plus, get interesting stuff and updates to your email inbox. Copyright © 2019. 2017 JLFerren.com All Rights Reserved.